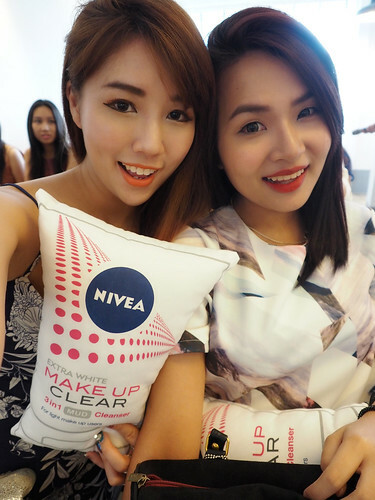 Sometime in early March, I was invited to the NIVEA Make Up Clear Launch Event! Just a lil background information on NIVEA if you haven't already heard of this brand..
NIVEA is the world’s trusted No. 1 skin care brand (Nielsen). It is an accessible, reliable partner whom consumers easily identify with, bringing out the best in their skin, their beauty and themselves. 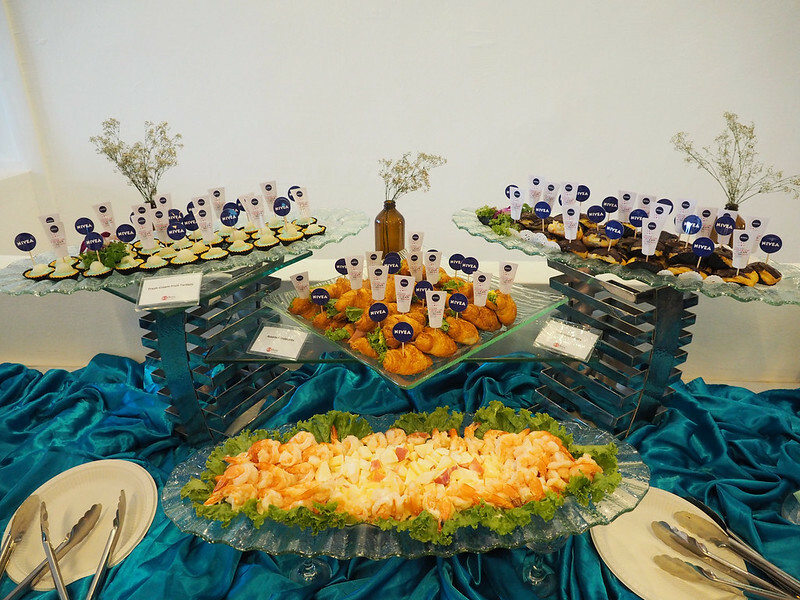 NIVEA’s unique formulations of proven quality, work in harmony with the skin to keep it healthy. 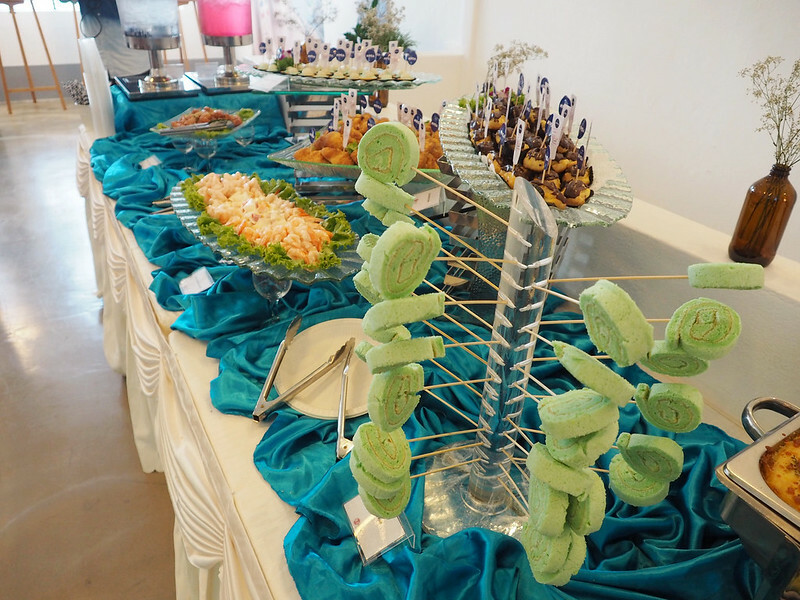 They are highly effective, superior in terms of care and mildness, offered at a fair price. 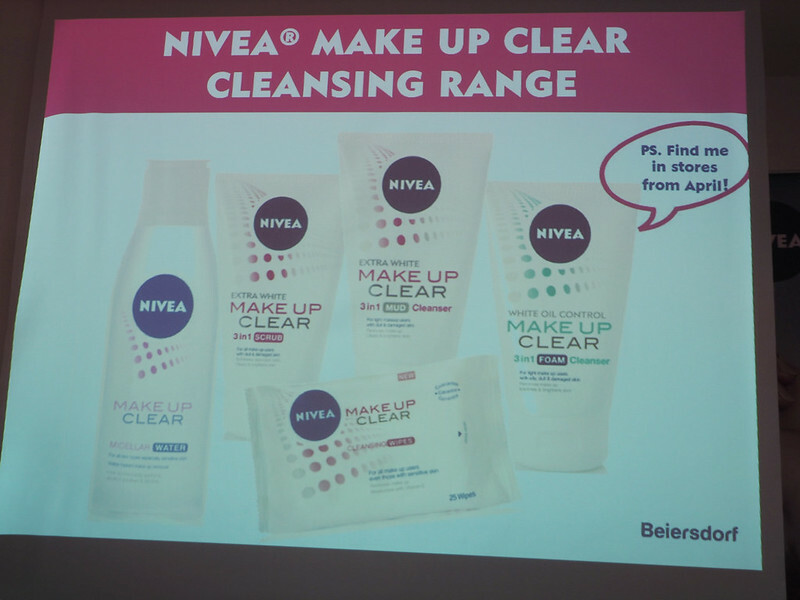 So today's focus will be on their new product launch - NIVEA Make Up Clear Range, in particular, the NIVEA Make up Clear 3in1 Mud Cleanser. More about it in abit!! 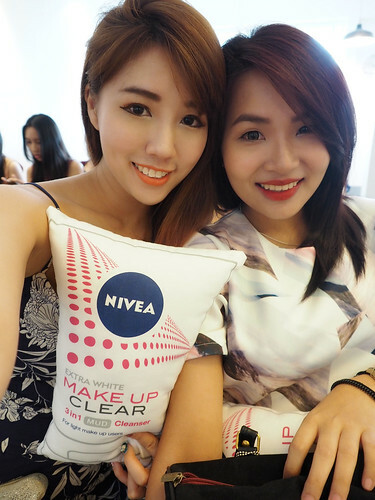 Posing with the cutest NIVEA pillow ever! 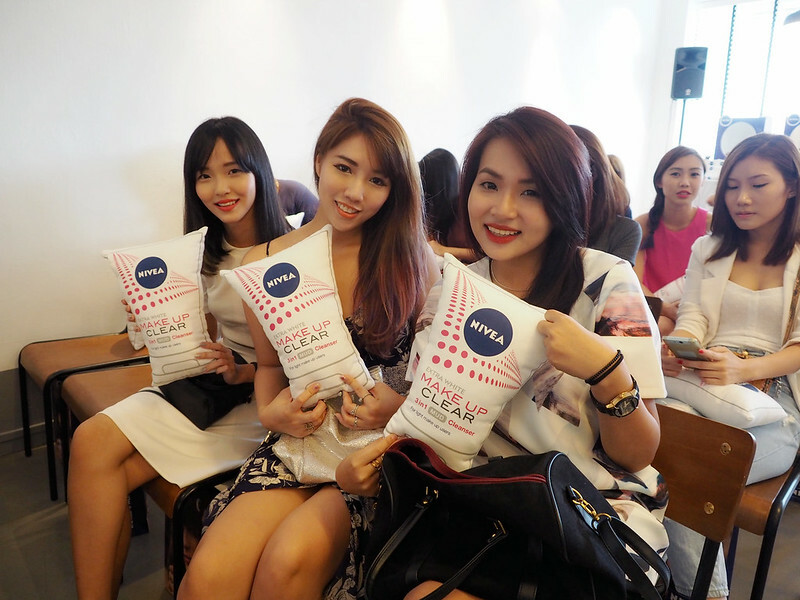 A short presentation on NIVEA Make Up Clear was then presented! In short, the lack of proper makeup removal can cause premature skin ageing. 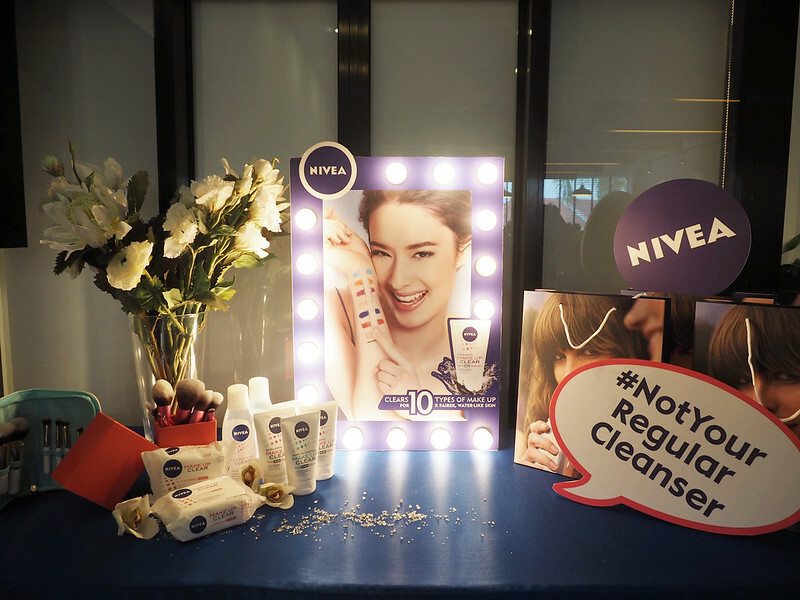 With the new NIVEA Make Up Clear range, NIVEA provides a convenient and effective cleansing routine which caters to all types of makeup users. 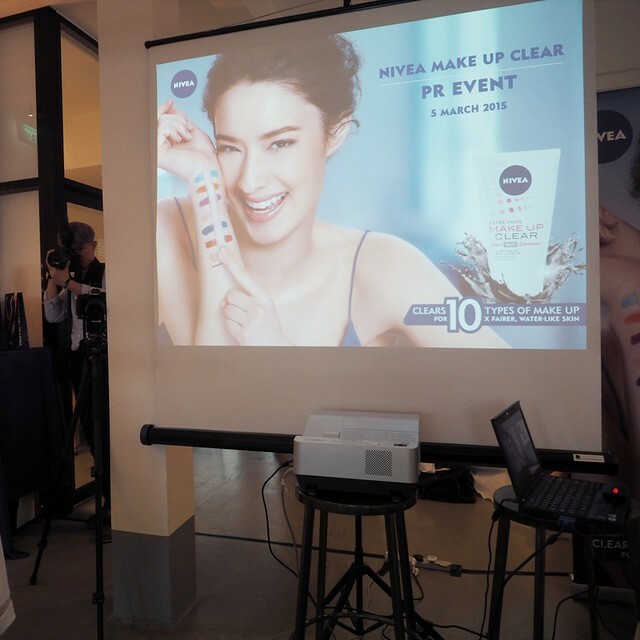 The Star Product, focus of this launch is the NIVEA Make Up Clear 3in1 Mud Cleanser, designed for light make up users, it can remove 10 types of makeup for 10x fairer*, water-like looking skin! [ Fun Fact ] Do you know that sunscreen or products with SPF are more resilient and regular cleanser cannot clean them off properly? Even when you use BB Cream or even tinted sunscreen, you have to remove them properly and NIVEA Make Up Clear 3in1 Mud Cleanser can do it. 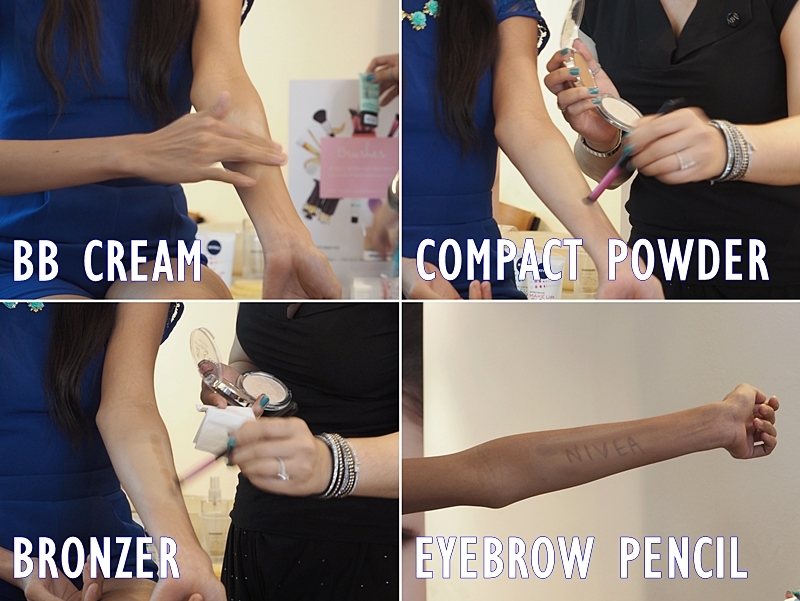 As shown, the NIVEA girl applied 10 products on her arm. I didn't take pictures for all 10 of cuz, so here's 4 to show you guys! Here's me experimenting with the products! 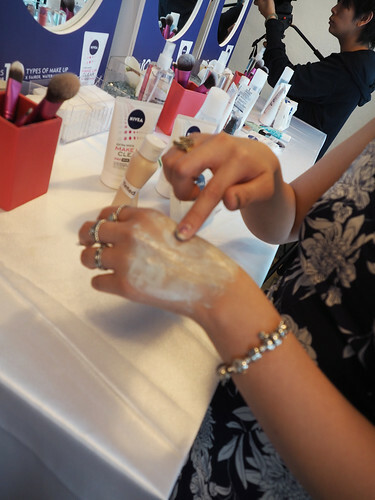 I can be seen trying to apply some bb cream on my hand first before testing out the NIVEA Make Up Clear 3in1 Mud Cleanser. 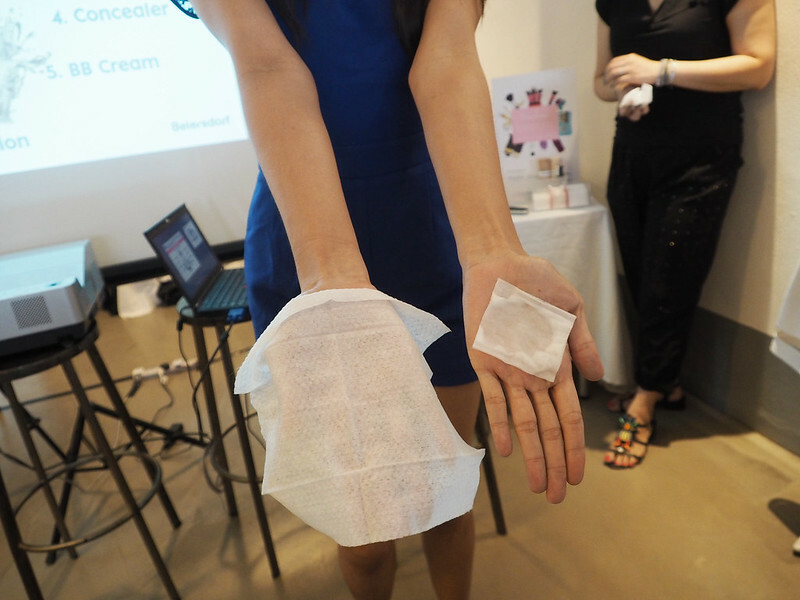 Of cuz, the bb cream came off fully after using the 3in1 Mud Cleanser when I used the cleansing wipe to test! With all the other pretty Nuffnang bloggers! 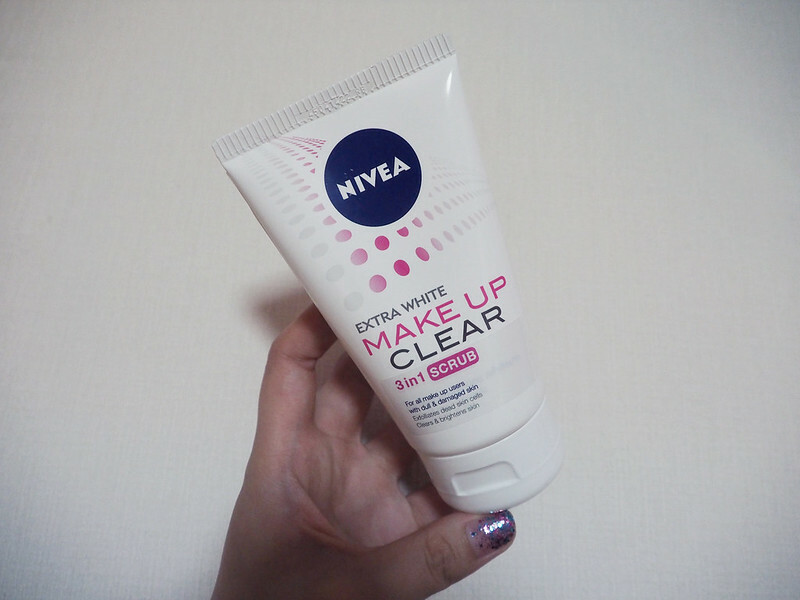 Back at home, I finally had the chance to try the NIVEA Make Up Clear 3in1 Mud Cleanser on my face! 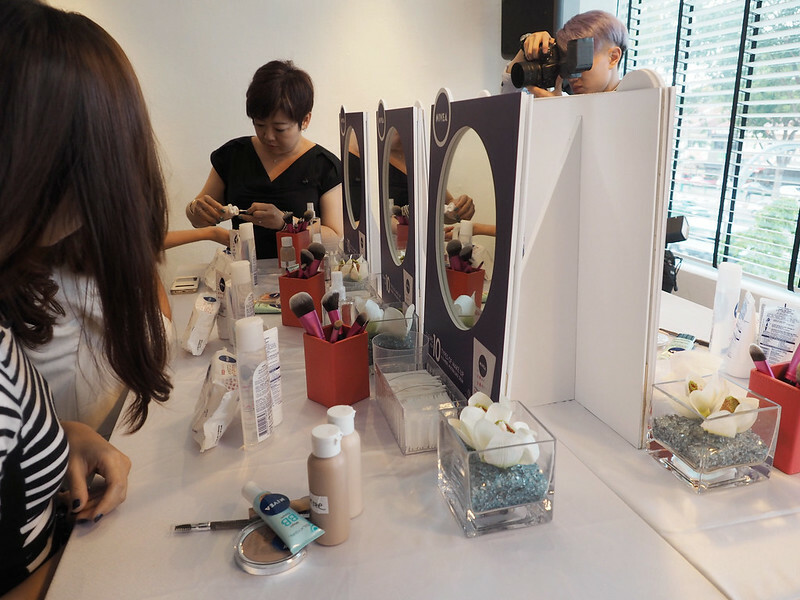 Clears 10 types of makeup for 10x fairer, water-like looking skin. 3 in 1 Cleanser that provides 3 effects in 1 use! 2) At the touch of water, it turns into a makeup remover to remove 10 types of makeup. Just massage your face in gentle circular motions, as how you would usually wash your face! I know how tiring it is and sometimes we get lazy too with removing our makeup with one product, and then washing our face with another product. 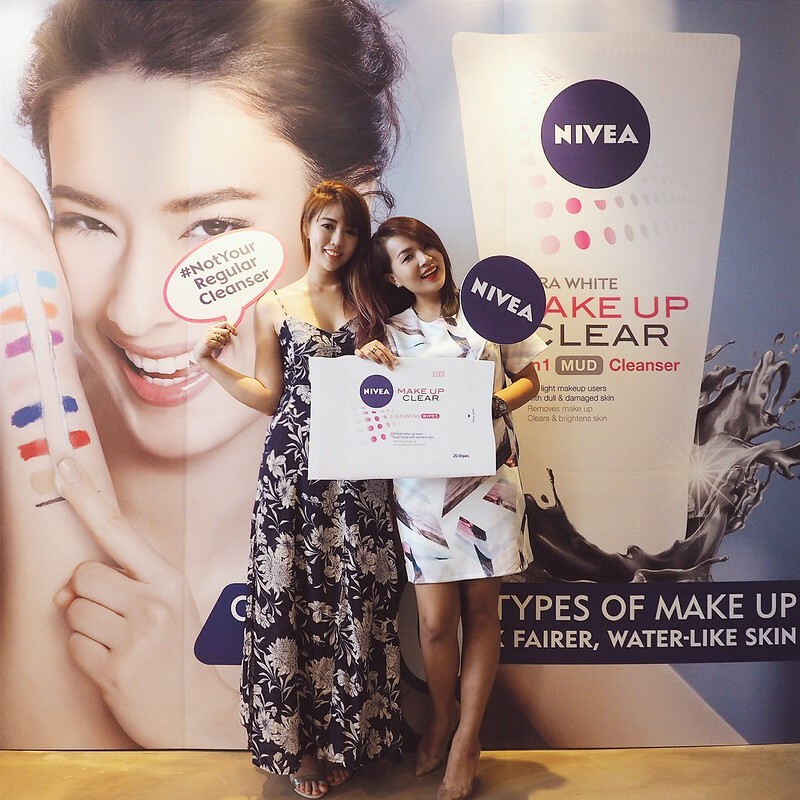 With the NIVEA Make Up Clear 3in1 Mud Cleanser, we can now remove our makeup and cleanse our face at the same time!! What is there not to love about it?! 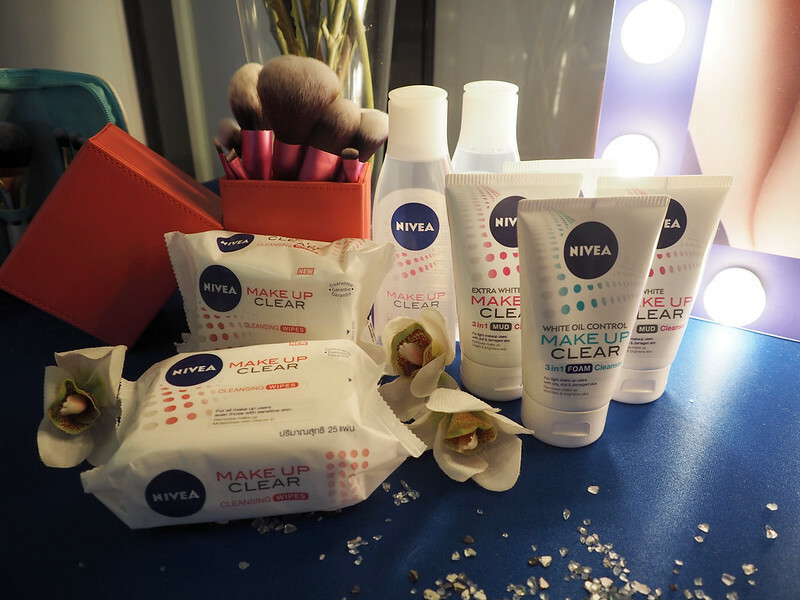 For heavy makeup which includes waterproof makeup and eye makeup, NIVEA has the Make Up Clear Micellar Water & Make Up Clear Cleansing Wipes in its repertoire for double cleansing to ensure all makeup are thoroughly remove! 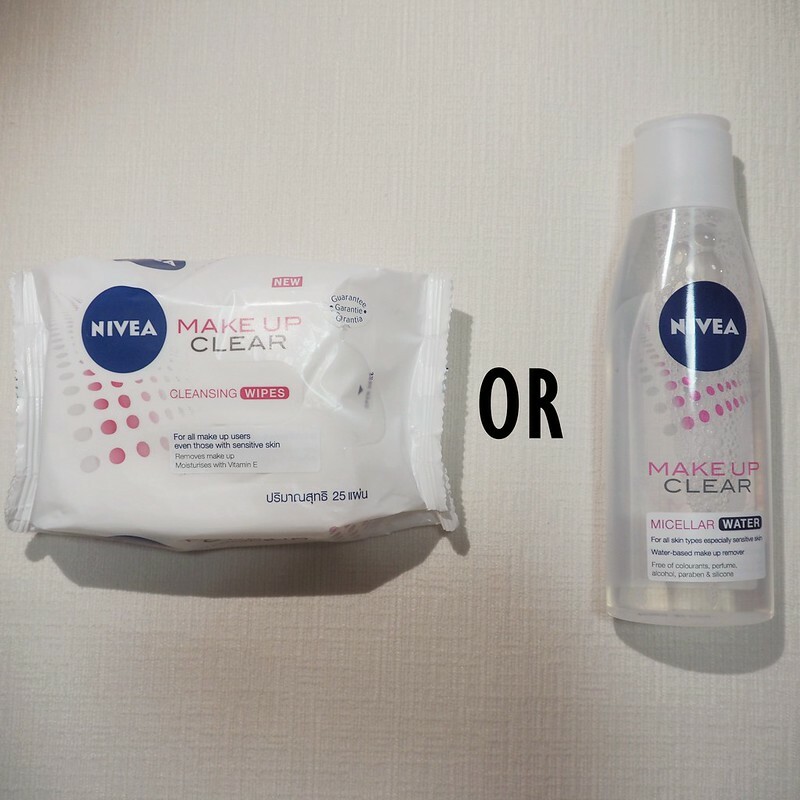 Over here, I am using the Make Up Clear Cleansing Wipes! 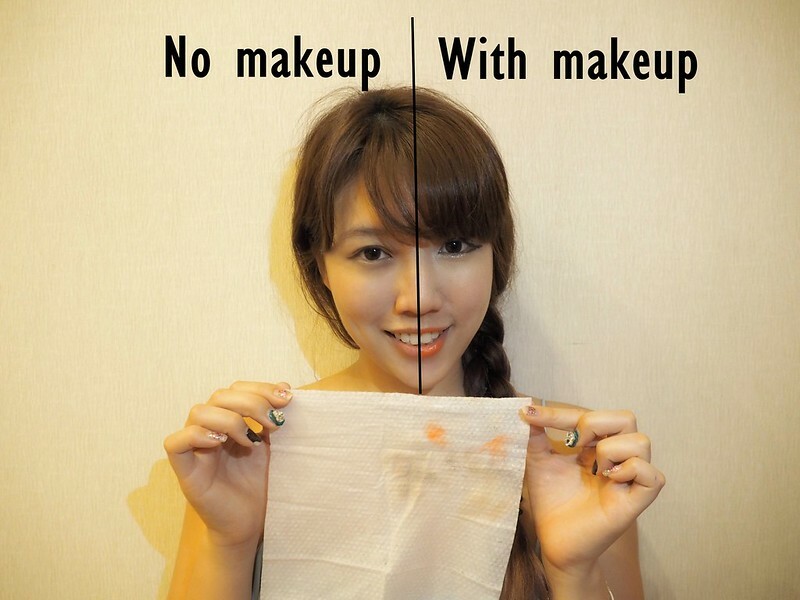 I generally love makeup wipes cuz they are so easy to use and fuss-free! 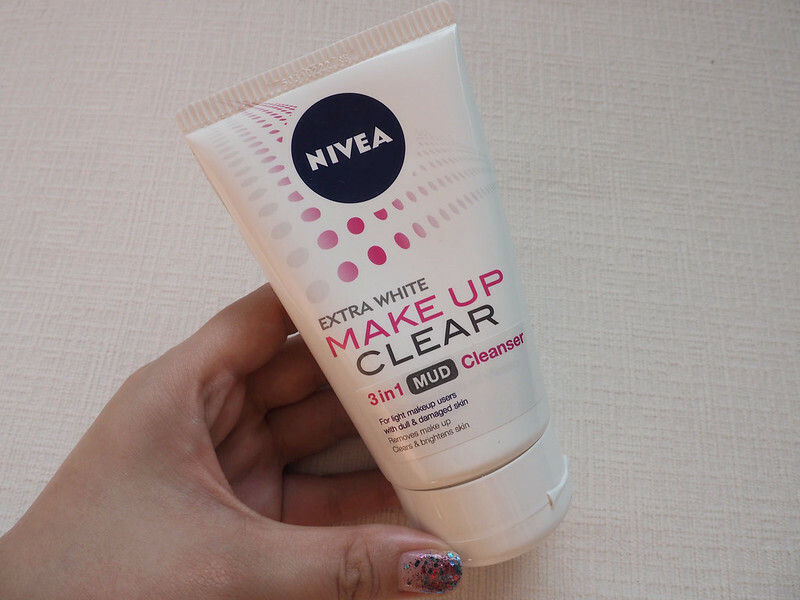 To complete, your skincare regime, NIVEA also introduces the Make Up Clear 3in1 Scrub! Use it once a week to remove dead skin off your face to reveal a fresher & brighter skin! 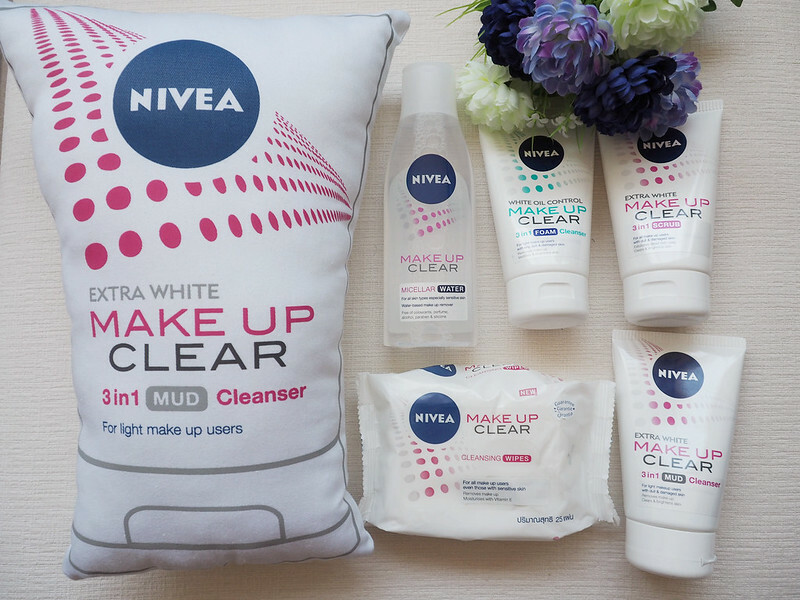 Thank you NIVEA for spoiling me with these Make Up Clear range products! You can find these babies in stores from April 2015!